By the time Keri Hulme applied for the Burns Fellowship of 1977, she had three published short stories, one of which – 'Hooks and Feelers' – had won the 1975 Katherine Mansfield Memorial Award. She was also working on 'Kerewin, Joe and Simon P', a work that was 'almost ready for submission' – but then obviously not. The characters would arise in The Bone People (1983), her first novel that not only won her the 1984 New Zealand Book Award, the Pegasus Award for Maori literature, but also the 1985 Booker Prize. In 1977, Hulme was a joint Burns Fellow with Roger Hall, although her stint was for only one term. On display is her The Silences Between (Moeraki Conversations), which contains poems that she states 'were very much part of that era, worked upon – or at least, sketched out & drunk upon – at Otago'. 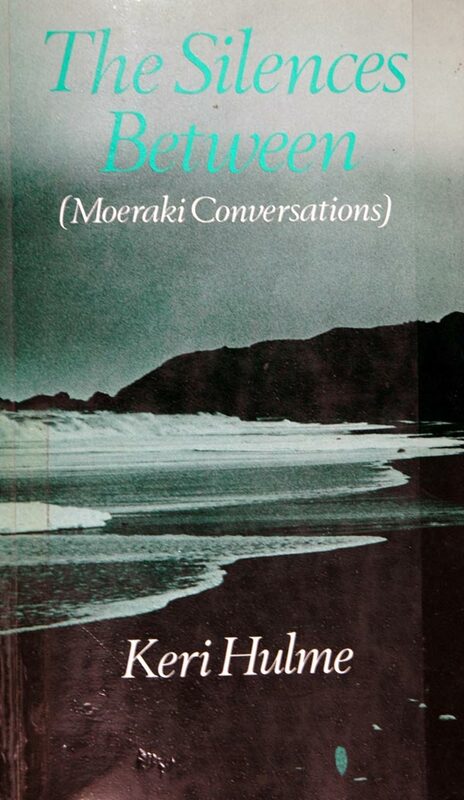 Keri Hulme, The Silences Between (Moeraki Conversations). Auckland: Auckland University Press, 1982. Bill Robertson Library 821 NZ HUL.